The best way to experience and enjoy our fantastic wine selection is through a Nice wine tasting. Tastings are by appointment only and are held during our normal business hours: Saturdays Noon - 3 PM, or, Tuesday - Friday at 2 PM. Our Saturday tastings book up quickly, so please make your reservation with as much advance notice as possible to ensure availability. If you have any questions, please see the FAQs below or call us at 713-744-7444. 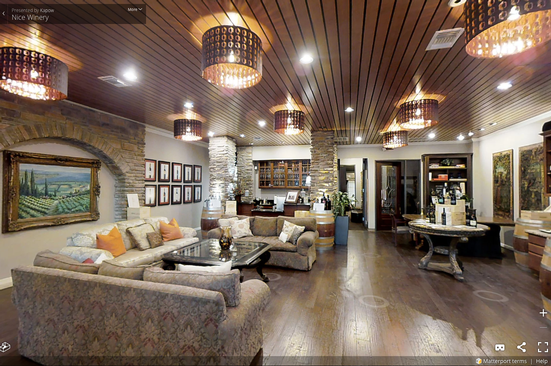 Take a 360° tour of our winery! Enjoy a fun and educational tasting of four of our award-winning wines, led by one of our knowledgeable winery team members. Wines will be served with a specialty assortment of cheese, crackers, and cured meats. All wines featured will be available for purchase at the winery. Enjoy a fun and educational tasting of six of our highly rated, premium wines. Tasting led by one of our knowledgeable winery team members. Wines will be served with a specialty assortment of cheese, crackers, and cured meats. All wines featured will be available for purchase at the winery. Minimum of 2 attendees. We offer private tasting options, where your party can reserve the entire winery for an even more informative and specialized tasting with our Winemakers. 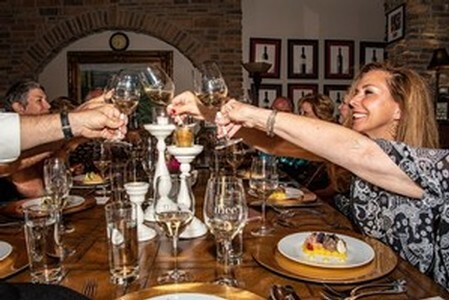 Private tastings require at $500 minimum spend or a minimum of 10 attendees. For more information about booking a private event for a special occasion, team building, or unique corporate event, visit our Private Events page or give us a call at 713-744-7444. FAQ: What Can I Expect at a Nice Winery Tasting? Our guided tastings are a little more unique than your typical belly-up-to-the-wine-bar setting. 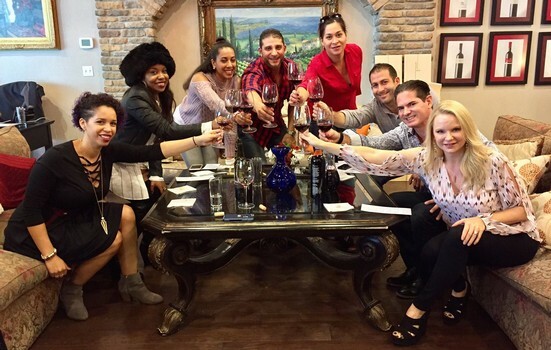 We host seated tastings at our beautiful and cozy winery that has a living room setting. This means you might be seated next to someone you don't initally know, but trust us, you will not be strangers by the end! We try to keep our tastings under 16 people in order to maintain an intimate setting where attendees feel comfortable to ask our Winemaker and staff questions. Our tastings start promptly on time, so we ask for guests to arrive at least 15 minutes early. At a tasting, you will learn all about our unique winemaking concept, why we choose to make sustainably-farmed wines without the use of chemicals or additives, the difference between family-owned wineries vs. commercial wineries, why you really get headaches from red wine (hint - it's not sulfites! ), how to decipher tasting notes in wine, and any other questions you've ever wanted to know about wine and winemaking. Every tasting is accompanied by a specialty charcuterie board with a variety of meats, cheeses, and crackers. We hope you'll join us for a tasting and we look forward to meeting you! To submit an inquiry about wine tasting available, please fill out the form below and we will respond to your request as soon as possible. Note: filling out this inquiry does NOT book or confirm a tasting.